International arbitration has become one of the leading methods for resolving disputes arising out of construction projects involving global owners, contractors, subcontractors and engineers. DFL Legal has extensive experience representing and counseling its clients in all aspects of institutional (ICC, ICDR, and AAA) and ad hoc (UNCITRAL) International Arbitrations involving complex, construction-industry claims with hundreds of millions of dollars in dispute. Our lawyers have represented contractors, subcontractors, and engineers in international arbitrations involving construction projects located in Brazil, Czech Republic, Dominican Republic, India, Indonesia, Iran, Iraq, Mexico, Nigeria, Singapore, Thailand, Venezuela and Zambia. Our international arbitration experience encompasses a broad spectrum of industrial sectors, including, for example, power generation, oil & gas, iron & steel and petrochemical. We have developed strong working relationships with industry professionals around the World that we partner with as necessary on our international arbitration engagements. At DFL Legal, we have experience with and knowledge of the rules of the leading arbitration centers and global treaties relating to international arbitrations. We have tried international arbitrations before some of the world’s leading arbitrators. Our lawyers have served as arbitrators and mediators, and routinely speak at industry conferences addressing various aspects of international arbitration. 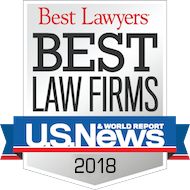 In addition to our dispute resolution practice, we are also experienced in drafting and negotiating effective and enforceable dispute resolution clauses for construction-industry contracts. DFL Legal serves as lead counsel for one of the world’s largest multinational engineering and construction companies regarding an offshore oil & gas project dispute. The dispute, which involved subsea flow lines, centered on one of the world's largest offshore oil and gas projects under a single EPC contract with an initial contract price of over $2.5 billion. The adversary was the national oil company of a South American country. The dispute is subject to ad hoc arbitration under the UNCITRAL Arbitration Rules (1976) before a three member international arbitration panel. DFL Legal represented the subcontractor in an ICC arbitration arising out of the design, supply, installation, commissioning, check-out and testing of a two stand reversing mill and equalizing furnace for a flat roll products mini mill in Ostrava, Czech Republic. The subcontractor asserted claims in the aggregate amount of approximately $20 million for unpaid invoices, additional work, and value added tax. In addition, the EPC contractor asserted counterclaims in the amount of approximately $12 million. The arbitral hearings were conducted in Vienna, Austria. DFL Legal was lead counsel for an EPC contractor in a series of ICC, AAA and UNCITRAL arbitrations arising out of the engineering, procurement, and construction of a $300 million mini strip mill in Samutprakarn, Thailand. Several months into the project, the owner suspended and eventually terminated the project as a result of its financial difficulties. We represented the EPC contractor as the claimant in an UNCITRAL arbitration against the project owner involving claims for damages arising out of the termination in the approximate amount of $50 million. We also represented the EPC contractor in the defense of claims asserted in numerous international arbitrations in London, England by various subcontractors arising out of the owner's termination of the project. DFL Legal represented the joint developer of an industrial process in a series of arbitrations before the International Chamber of Commerce, Court of Arbitration in Paris, France. The disputes involved the sale of this industrial process for projects located in Iran, Iraq, Indonesia, Venezuela, Zambia and Mexico. The claims against our client exceeded US $500 million. After a period of approximately five years, all claims were resolved with a net positive cash flow to our client and a major new contract.